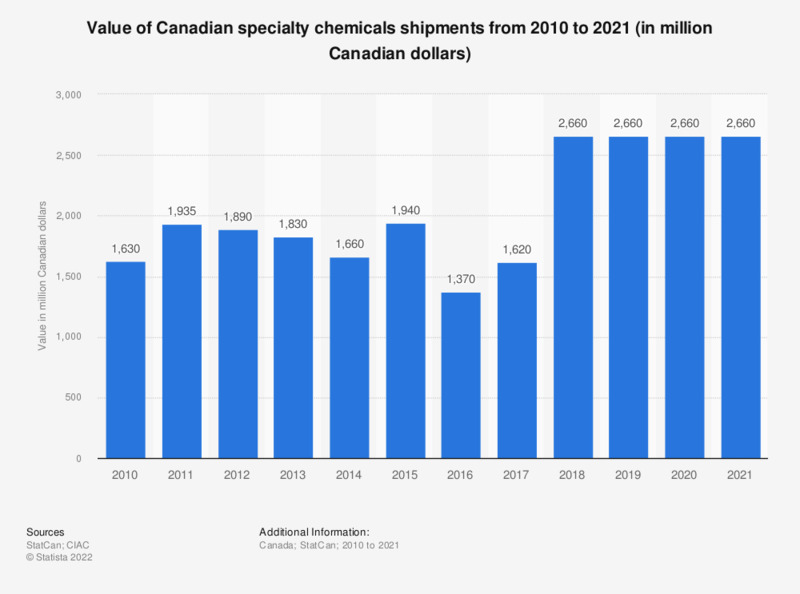 This statistic outlines the value of shipments in the Canadian specialty chemicals sector from 2009 to 2017. In 2017, the value of shipments in the specialty chemicals sector in Canada amounted to 1.6 billion Canadian dollars. Specialty chemicals produced in Canada include fatty acids, plasticizers, and additives for plastics, lubricants, and rubber.